Bigg Boss Season 6 Contestants 2012 list, Celebrity contestants names of Bigg Boss 6 2012, Bigg Boss Season 6 Contestants List, Bigg Boss 6 Reality Show participants, Bigg Boss 6 contestants in Colors TV Channel, Bigg Boss Reality Show, Lists for Bigg Boss Season 6 Contestants, 2012 Bigg Boss Season 6 Participant names. • Bigg Boss Reality Show Format: - As per the format of Bigg Boss, popular reality show of Colors TV Channel, celebrity contestants stay together in the Bigg Boss House for 90-days without any connection to the outside because mobile phone, television, computers etc are not available in Bigg Boss House and they all are going to be watched by cameras implanted in Bigg Boss House. Within the Bigg Boss House, contestants required to do their own work like cooking, cleaning, washing etc and also tasks given by Bigg Boss. Every week, contestants of Bigg Boss will nominate more than one inmate names and depending on viewers' vote one nominated inmate gets voted out. • Bigg Boss Season-6 Host / Anchor Name: - Bollywood mega-star Salman Khan is going to host Bigg Boss-6 Reality Show for the third consecutive years. Last year in 2011, Salman Khan & Sanjay Dutta hosted Bigg Boss Season-5. This time Salman Khan is hosting Bigg Boss show for the third time amongst six editions. • Biss Boss Season-6 Telecast Schedule Time: - The popular reality show Bigg Boss will start on & from 7th October 2012 (Sunday). Last year, Bigg Boss was shown at 11pm but this year it will be telecast earlier. Bigg Boss 6 will be shown at 9pm on Colors Television channel and this time the Bigg Boss Show will be friendlier & family oriented & will entertain audience much more than previous seasons. • What's new in Bigg Boss-6 Reality Show? Viewers will get to see few new things in Bigg Boss Season-6 reality show. As per the news, one fish & one parrot will be there in the Bigg Boss House to add twist in Bigg Boss Contestants' thinking. The name of the Parrot of Bigg Boss House is 'Radhe', the name of Salman Khan of 'Tere Naam' Bollywood movie. Bigg Boss allows one Common Man [non-celebrity person] to enter Bigg Boss House and thus the Registration Process for Common People has been organized. One International Celebrity will also enter Bigg Bogg House. So, get ready for friendly, familiar, entertaining Bigg Boss, which is also known as 'Baap of all reality shows'. • Bigg Boss Season-6 (2012) Contestant Names: - Bigg Boss Reality Show makers don't disclose the Bigg Boss contestant names prior to Bigg Boss Grand Openings. But, as per the news, few Indian Celebrity & International Celebrity names are coming up as the Celebrity Contestants of Bigg Boss Season-6. List of Indian Celebrities likely to participate in Bigg Boss Season-6 are Sonu Nigam, Pooja Bhatt, Navjot Singh Sidhu, Kratika Sengar, Nupur Mehta, Sachin Shroff, Poonam Pandey, Jay Sean, Neha Dhupia, Dia Mizra, Zarine Khan, Tushar Kapoor, Amrita Arora, Sanjay Kapoor, Mugdha Godse, Sameera Reddy, Mallika Sherawat, Jiah Khan, Miland Soman, Uday Chopra, Kunal Kapoor. Few celebrities from the list may enter Bigg Boss House as Contestant. International Celebrity names likely to enter Bigg Boss House in 2012 - As per the tradition of Bigg Boss Reality Show, International Celebrity is invited for participating in Bigg Boss House. Last year, Sunny Leone entered in Bigg Boss House. As per the recent information, these two International Celebrity names are coming out who may enter Bigg Boss House in 2012 - Pippa Middleton & Kim Kardashian. We are not confirmed whether Kim Kardashian / Pippa Middleton will join as Foreign Contestant of Bigg Boss Season-6 or not. The Parrot 'Radhe' of Bigg Boss 6 reveals the Contestants List of Bigg Boss-6. Let's check out the Bigg Boss Season-6 Contestant Names as per 'Radhe'. Check the video to know the names. Bigg Boss Season-1 Winner name: Rahul Roy. Bigg Boss Season-2 Winner name: Ashutosh Kaushik. Bigg Boss Season-3 Winner name: Vindu Dara Singh. Bigg Boss Season-4 Winner name: Shweta Tiwari. Bigg Boss Season-5 Winner name: Juhi Parmar. Name of Bigg Boss 6 Contestant No.1 is Navjyot Singh Sidhu – Cricketer by profession. Name of Bigg Boss 6 Contestant No.2 is Sana Khan – Actress by profession [done few TV Ads]. Name of Bigg Boss 6 Contestant No.3 is Vrijesh Hirjee – Actor by profession. Name of Bigg Boss 6 Contestant No.4 is Sampat Pal – Commander of Gulabi Gang [Uttar Pradesh (U.P.)] by profession – works for women. Name of Bigg Boss 6 Contestant No.5 is Urvashi Dholakia – Actress by profession [‘Kamalika’ of 'Kasauti Zindagi Ki' Serial of Star Plus TV Channel]. Name of Bigg Boss 6 Contestant No.6 is Aashka – Actress by profession. Name of Bigg Boss 6 Contestant No.7 is Dinesh Pal Yadav (Neruah) – Bhojpuri film actor by profession [studied in Kolkata]. Name of Bigg Boss 6 Contestant No.8 is Sapna Bhagnani – Hair Stylist by profession [did hair stylizing work for John Abraham, MS Dhoni, Gauri Khan, Katrina Kaif, Bipasa Basu, Shilpa Shetty, Anushka Sharma, & many more]. Name of Bigg Boss 6 Contestant No.9 is Delnaaz Irani – Actress by profession. Name of Bigg Boss 6 Contestant No.10 is Aseem Trivedi – Cartoonist by profession. Name of Bigg Boss 6 Contestant No.11 is Sayantani Ghosh – Bengali film actress & did acting in Hindi TV Serials like ‘Mrs. Kaushik Ki Paanch Bahuye’ on Zee TV etc. Name of Bigg Boss 6 Contestant No.12 is Rajiv Paul – Actor by profession and ex-Husband of actress Delnaaz Irani, who is also a Contestant of Bigg Boss-6. Name of Bigg Boss 6 Contestant No.13 is Niketan Madhok – Super Model by profession. Name of Bigg Boss 6 Contestant No.14 is Karishma Kotak – Super Model by profession. Name of Bigg Boss 6 Contestant No.15 is Kashim Qureshi – Martial Art trainer by profession – Kashim Qureshi lives in Hyderabad and entered Bigg Boss 6 House as a ‘commoner’. Search Tags: Swami Agnivesh Birthday Address Mobile Phone Contact Number Social Worker Bigg Boss Season-5 Contestant Swami Agnivesh Family Father Mother Wife friend Children Son Daughter Social Worker Bigg Boss Season-5 Contestant Social Worker Bigg Boss Season-5 Contestant Swami Agnivesh Qualification Educations School College Name Swami Agnivesh Bigg Boss Season-5 Contestant professional Career Awards Achievements Social Worker Bigg Boss Season-5 Contestant Swami Agnivesh Early Personal Secret Professional Educational Life Swami Agnivesh latest news Details, Swami Agnivesh profile biodata biography details Swami Agnivesh birthday address mobile phone contact number Swami Agnivesh family father mother wife husband son daughter children names Swami Agnivesh education qualification Swami Agnivesh works career occupation Swami Agnivesh personal professional educational life background Swami Agnivesh latest news updates information. Indian Social Activist & Arya Samaj Scholar Swami Agnivesh (born at Chattisgarh, India) is known for his work & approach against bonded labour through the Bonded Labour Liberation Front. Let’s check out the educational & career achievements of Swami Agnivesh below. • Birthday of Swami Agnivesh: 21st September 1939. • Age of Swami Agnivesh Maharaj: 72 years as on 2011. • Birthplace / Ancestral House Address of Swami Agnivesh: Sakti, Chhattisgarh, India. • Marital Status of Swami Agnivesh: Unmarried (never married). • Recent Address of Swami Agnivesh: SWAMI AGNIVESH, BANDHUA MUKTI MORCHA, 7, JANTAR MANTAR ROAD, NEW DELHI-110001, INDIA. • Phone contact number of Swami Agnivesh: +91 - 11-23363221 / +91-11-23367943. • E-mail contact ID of Swami Agnivesh: agnivesh70@gmail.com. • Educational Life & Qualification of Swami Agnivesh: Swami Agnivesh Maharaj has completed his Degree in Law & Economics at Calcutta (now Kolkata). After completion of Law & Economics Degree; Swami Agnivesh started working as a Lecturer of Business Management at St. Xavier’s College Kolkata during 1963 to 1968. 1. Swami Agnivesh awarded with Rajiv Gandhi National Sadbhavana Award Delhi in 2004 (Religious & Communal Harmony Award 2004). 2. Right Livelihood Award 2004 of Sweden was given to Swami Agnivesh in 2004. 3. M.A.Thomas National Rights Award was given to Swami Agnivesh in 2006 at Bangalore. 4. Swami Agnivesh established the Bonded Labour Liberation Front in 1981. 5. 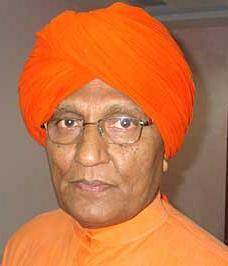 Swami Agnivesh founded & become president of World Council of Arya Samaj. 6. Swami Agnivesh worked as the Chairperson of United Nations Voluntary Trust Fund on Contemporary Forms of Slavery from 2001 to 2004. 1. Vaidik Saamajvad which was the Hindi magazine to serve knowledge of Vedic Socialism. 2. Religion Revolution and Marxism (Hindi and English version). 3. Harvest of Hate: Gujarat Under Siege, with Valson Thampu. Rupa & Co. India. 4. Religion, Spirituality and Social Action New Agenda for Humanity: New Agenda for Humanity, Hope India Publications, 2003. 5. Hinduism in the New Age, Hope India Publications, 2005. 6. Rajdharma (fortnightly) magazine’s Chief Editor was Swami Agnivesh during 1968–1978. 7. Swami Agnivesh was the Chief Editor of Monthly Magazine Kranti Dharmi during 1989–1991. Swami Agnivesh was given the opportunity to enter in Bigg Boss House on 9th November 2011. Bigg Boss is one of the biggest Reality Shows telecast on Colors Channel and Swami Agnivesh Maharaj Ji participated in Bigg Boss Season-5 Show as a contestant of Bigg Boss Season-5. Swami Agnivesh contested as a contestant of Bigg Boss to spread his thoughts to the world through the reality show Bigg Boss-5. Akashdeep Saigal, Model & TV Actor, is the winner of Gladrags Manhunt Contest in 1998 and now widely popular for the exclusive negative roles on television serials. Angry young man imaged Akashdeep Saigal (alias ‘Ansh’) got the fame from ‘Kyunki Saas Bhi Kabhi Bahu Thi’ TV Serial. • Birthday of actor Akashdeep Saigal: - 29th October 1974. • Age of actor Akashdeep Saigal: - 38 years as on 2012. • Star Sign of actor Akashdeep Saigal: - Scorpio. • Nationality of Akashdeep Saigal: - Indian. • Profession / Occupation of Akashdeep Saigal: - Actor & Model. • Akashdeep Saigal achieved fame for Akashdeep Saigal is known as TV Serial Bad Boy (because of Villain characters) and Akashdeep Saigal played Amar Upadhyay’s son in "Kyunki Saas Bhi Kabhi Bahu Thi" mega TV Serial. 1. Kahaani Hamaaray Mahaabhaarat Ki as Kansh (9X TV Serial). 2. Kuchh Is Tara as Ranbeer Nanda (Sony TV Serial). 3. Time Bomb 9/11 as Usmaan (Zee TV Serial). 4. Jhalak Dikhhla Jaa as Akashdeep Saigal (SonyTV Serial). 5. Kyunki Saas Bhi Kabhi Bahu Thi as Ansh Virani / Ansh Gujral / Eklavya Virani (STAR Plus TV Serial). 6. Fear Factor Reality Show in 2006 for only one episode (Sony Entertainment Television). 7. Comedy Circus contestant (Sony Entertainment Television) in 2008. 8. Iss Jungle Se Mujhe Bachao reality show contestant in 2009 on Sony Television Channel. 9. Zor Ka Jhatka: Total Wipeout reality show contestant in 2011 on NDTV Imagine Channel. 10. Bigg Boss Season 5 contestant Akashdeep Saigal in 2011 on Colors TV Channel. TV Serial actor Akashdeep Saigal tried his luck in Films as well but not yet got the fame as he got in Television. Here is the names of Akashdeep Saigal Movies till 2011 - Ayan (Tamil movie) in 2009, Supari in 2003, and Pyaar Mein Kabhi Kabhi in 1999 (debut movie of Akashdeep Saigal). Search Tags: Big Boss 5 contestant Akashdeep Saigal profile biodata biography details Big Boss 5 contestant Akashdeep Saigal birthday address mobile phone contact number Big Boss 5 contestant Akashdeep Saigal family father mother wife husband son daughter children names Big Boss 5 contestant Akashdeep Saigal education qualification Big Boss 5 contestant Akashdeep Saigal works career occupation Big Boss 5 contestant Akashdeep Saigal personal professional educational life background Big Boss 5 contestant Akashdeep Saigal latest news updates information. One & only Hijra in the UN’s Civil Society Task Force on HIV/AIDS is none other than our beloved Laxmi Narayan Tripathi, born in Uttar Pradesh, is also a good dancer & dance instructor by profession and the head of Hijra Community campaign ‘Astitva’. • Birthplace & Address of Laxmi Narayan Tripathi: Laxmi born in Uttar Pradesh and currently lives in Thane city of India. • Age of Laxmi Narayan Tripathi: 32 as on 2011. • Nationality of Laxmi Narayan Tripathi: Indian. • Family of Laxmi Narayan Tripathi: Father name of Laxmi is Chandradev C. Tripathi and Laxmi lives with her mother, brother (name Sashi), brother's wife & brother’s son Deepak and. 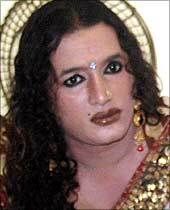 • Professional Life & Occupation of Laxmi Narayan Tripathi: Transgender (Hijra) Activist of the transgender community of India. Laxmi Narayan Tripathi is also known as dancer & dance instructor. Laxmi Narayan Tripathi has her campaign group named ‘Astitva’ that fights for the Hijra community. Laxmi Narayan Tripathi was seen in the Reality Shows like 'Sach ka Saamna' and 'Raaz Pichle Janam Ka' and in 2011 Laxmi Narayan entered Bigg Boss House as a Contestant. Laxmi Narayan Tripathi is the first one who represented the whole Hijra Community in a Television Reality Show Bigg Boss Season-5. Search Tags: Big Boss 5 contestant Laxmi Narayan Tripathi Birthday Address Mobile Phone Contact Number Hijra Big Boss 5 contestant Laxmi Narayan Tripathi Family Father Mother Wife friend Children Son Daughter Hijra Candidate Hijra Big Boss 5 contestant Laxmi Narayan Tripathi Qualification Educations School College Name Big Boss 5 contestant Laxmi Narayan Tripathi professional Film Acting Career Awards Achievements Hijra Big Boss 5 contestant Laxmi Narayan Tripathi Early Personal Secret Professional Educational Life Big Boss 5 contestant Laxmi Narayan Tripathi latest news Details, Big Boss 5 contestant Laxmi Narayan Tripathi profile biodata biography details Big Boss 5 contestant Laxmi Narayan Tripathi birthday address mobile phone contact number Big Boss 5 contestant Laxmi Narayan Tripathi family father mother wife husband son daughter children names Big Boss 5 contestant Laxmi Narayan Tripathi education qualification Big Boss 5 contestant Laxmi Narayan Tripathi works career occupation Big Boss 5 contestant Laxmi Narayan Tripathi personal professional educational life background Big Boss 5 contestant Laxmi Narayan Tripathi latest news updates information. Siddharth Bhardwaj (nickname Sid) is a well-known face in India television mainly on MTV Channel where he won the reality show Splitsvilla-2. Good looking, smart Siddharth Bhardwaj has established himself as a Video Jockey (VJ) on TV Channels. Birthday of VJ Siddharth Bhardwaj: - 3rd March 1987. Age of VJ Siddharth Bhardwaj: - 25 years as of 2012. Physique of VJ Siddharth Bhardwaj: - Height of Siddharth Bhardwaj: 5'11”, Weight of Siddharth Bhardwaj: 67.5 kgs, Biceps of Siddharth Bhardwaj: 15”. Favourite Colour of Siddharth Bhardwaj: - Black & Blue. Favourite place for vacation of Siddharth Bhardwaj: - Shimla, India. Favourite Books of Siddharth Bhardwaj: - Bhagwat Geeta. Favourite Movies of VJ Siddharth Bhardwaj: - Chak de India & Oye Lucky (Bollywood movies). Favourite Actors of VJ Siddharth Bhardwaj: - Amir Khan & Irfan Khan. Have VJ Siddharth Bhardwaj ever proposed to a boy? No. Just, because VJ Siddharth Bhardwaj is not gay. Have VJ Siddharth Bhardwaj ever proposed to a girl? Yes, so many times. VJ Siddharth Bhardwaj looks for in a lover - A good human being firstly & secondly a best friend. How many lovers have VJ Siddharth Bhardwaj had till date? VJ Siddharth Bhardwaj had Four lovers till date. What is VJ Siddharth Bhardwaj life’s ambition? VJ Siddharth Bhardwaj wants to live his life in king size till 55 years and then want to go to the mountains to become a saint. What does VJ Siddharth Bhardwaj felt after winning Splitsvilla 2 Reality Show? Great mind blowing and on top of this world – these are the words VJ Siddharth Bhardwaj said after winning the Splitsvilla-2. Who does VJ Siddharth Bhardwaj think is the hottest VJ on MTV? VJ Siddharth Bhardwaj thinks Sophie Chowdhury is the hottest VJ of MTV. Professional Life Career of Siddharth Bhardwaj (Sid): - VJ Siddharth Bhardwaj (Sid) got the fame after winning the reality show Splitsvilla Season-2 along with Shakshi Pradhan (ex Girl Friend name of VJ Siddharth Bhardwaj) and later VJ Siddharth Bhardwaj got the chance to establish himself as a Video Jockey (VJ) by doing various Television Shows like MTV Stripped, Gone in 60 Seconds, One short plot, Wassupri8, Roadies 8 on MTV Channel. In 2011, Siddharth Bhardwaj (Sid) participated as contestant in Bigg Boss Season-5 Reality Show on Colors TV Channel as a wild card entry on the 15th Day. VJ Siddharth Bhardwaj (Sid) said in Bigg Boss House, where he is a contestant, in front of the camera that he isn't much qualified & have none in his family except his mother whom VJ Siddharth Bhardwaj (Sid) loves the most and feels proud thinking his earlier days & struggling and the position he achieved now. We wish VJ Siddharth Bhardwaj (Sid) good luck for his future & May god fulfils VJ Siddharth Bhardwaj dreams. Search Tags: Big Boss 5 contestant Siddharth Bhardwaj (Sid) Birthday Address Mobile Phone Contact Number VJ Big Boss 5 contestant Siddharth Bhardwaj (Sid) Family Father Mother Wife friend Children Son Daughter VJ Candidate VJ Big Boss 5 contestant Siddharth Bhardwaj (Sid) Qualification Educations School College Name Big Boss 5 contestant Siddharth Bhardwaj (Sid) professional Film Acting Career Awards Achievements VJ Big Boss 5 contestant Siddharth Bhardwaj (Sid) Early Personal Secret Professional Educational Life Big Boss 5 contestant Siddharth Bhardwaj (Sid) latest news Details, Big Boss 5 contestant Siddharth Bhardwaj (Sid) profile biodata biography details Big Boss 5 contestant Siddharth Bhardwaj (Sid) birthday address mobile phone contact number Big Boss 5 contestant Siddharth Bhardwaj (Sid) family father mother wife husband son daughter children names Big Boss 5 contestant Siddharth Bhardwaj (Sid) education qualification Big Boss 5 contestant Siddharth Bhardwaj (Sid) works career occupation Big Boss 5 contestant Siddharth Bhardwaj (Sid) personal professional educational life background Big Boss 5 contestant Siddharth Bhardwaj (Sid) latest news updates information. Nihita Biswas, fiance of Charles Sobhraj, born & brought up in Nepal and when Nihita Biswas was 20 years old then Charles Sobhraj had announced the news of his & Nihita’s engagement & relationship. Charles Sobhraj (knowns as ‘the Serpent’ & ‘the Bikini Killer’) have been alleged for nearly 12-murder cases & in Kathmandu Nepal Jail (last updated on 2011) for Serial killing cases. • Birthplace & Nationality of Nihita Biswas: Nihita Biswas born in Nepal. • Age of Nihita Biswas: 23 years as on 2011. • Marital status of Nihita Biswas: Nihita Biswas married with Charles Sobhraj, who is known as serial killer. • Marriage date of Nihita Biswas & Charles Sobhraj: As per the news from media, Nihita Biswas & Charles Sobhraj marriage was took place on 9th October 2008 on the sacred Nepalese occasion of the Bada Dashami, though it’s not confirmed yet. The marriage of Nihita Biswas & Charles Sobhraj took place within the Jail (prison), but Jail Authorities said later nothing happen inside except the traditional Dashami Tika ceremony by Nihita’s family. No photos of Nihita Biswas & Charles Sobhraj marriage occasion present at the moment. • Family Background of Nihita Biswas: - Mother name of Nihita Biswas is Mrs. Shakuntala Thapa, Husband name of Nihita Biswas is Charles Sobhraj. Shakuntala Thapa, mother of Nihita Biswas, is the Criminal Lawyer by profession & contesting the legal cases of Charles Sobhraj who is the Son-In-Law of her. Nihita Biswas Sobhraj, wife of Charles Sobhraj, participated in Bigg Boss-5 Reality Show in India on Colors TV Channel Show in 2011 and lived in Bigg Boss House with 13 other co-contestants. But, unfortunately in the first week nomination Nihita Biswas got evicted and left out from Bigg Boss House. Search Tags: Big Boss 5 contestant Nihita Biswas Birthday Address Mobile Phone Contact Number Charles Sobhraj Big Boss 5 contestant Nihita Biswas Family Father Mother Wife friend Children Son Daughter Charles Sobhraj Candidate Charles Sobhraj Big Boss 5 contestant Nihita Biswas Qualification Educations School College Name Big Boss 5 contestant Nihita Biswas filmography professional Film Acting Career Awards Achievements Charles Sobhraj Big Boss 5 contestant Nihita Biswas Early Personal Secret Professional Educational Life Big Boss 5 contestant Nihita Biswas latest news Details, Big Boss 5 contestant Nihita Biswas profile biodata biography details Big Boss 5 contestant Nihita Biswas birthday address mobile phone contact number Big Boss 5 contestant Nihita Biswas family father mother wife husband son daughter children names Big Boss 5 contestant Nihita Biswas education qualification Big Boss 5 contestant Nihita Biswas works career occupation Big Boss 5 contestant Nihita Biswas personal professional educational life background Big Boss 5 contestant Nihita Biswas latest news updates information. Miss Afghanistan 2003 Vida Samadzai born in a very backward & traditional region of Afghanistan in 1978 and soon after her birth their family moved to United States. • Birthday of Vida Samadzai: - 22nd February 1978. • Age of Vida Samadzai: - 33 (as of 2012). • Birthplace & Address of Vida Samadzai: - Khost province of Afghanistan and later moved to United States (US). • Educational Qualification Background of Vida Samadzai: - Miss Afghanistan 2003 Vida Samadzai completed her schooling in United States and completed her college life at California State University, Fullerton where Vida did double major in Advertising & Speech Communication. • Professional Life Career & Awards of Vida Samadzai: - Vida Samadzai is a supermodel who had participated in various beauty contests among which she had won many beauty contests as well. Vida Samadzai won the Crown of Miss Afghanistan in 2003 and in 2004 she became one of the jury members of Miss Earth 2004 contest. Model Vida Samadzai was crowned Miss America 2005 & Miss Tourism Queen International in 2005 in US. Vida Samadzai is the first lady to get the honour of Miss Personality. In 2011 Bigg Boss Season-5 Reality Show on Colors TV Channel in India, Vida Samadzai participated as a contestant of Bigg Boss-5 where Vida Samadzai had done extremely well as a foreign contestant in Bigg Boss-5 Reality Show where Votes count. Search Tags: Big Boss 5 contestant Vida Samadzai Birthday Address Mobile Phone Contact Number Model Big Boss 5 contestant Vida Samadzai Family Father Mother Wife friend Children Son Daughter Model Candidate Model Big Boss 5 contestant Vida Samadzai Qualification Educations School College Name Big Boss 5 contestant Vida Samadzai filmography professional Film Acting Career Awards Achievements Model Big Boss 5 contestant Vida Samadzai Early Personal Secret Professional Educational Life Big Boss 5 contestant Vida Samadzai latest news Details. The queen of Ragas Raageshwari Loomba, born in a family of musicians, is a popular figure in the world as Singer, Model, Actress, Television Anchor, MTV VJ (Video Jockey). Raageshwari Loomba got full support & inspiration from her family & did established herself as the queen of Raga (Sangeet). • Nickname of Rageshwari Loomba: Ragz & Paashu. • Birthday of Raageshwari Loomba: The date of birth of Raageswari Loomba is 25th July, 1977. • Address of Raageswari Loomba: Mumbai, India. • Age of Raageswari Loomba: 35 years as on 2012. • Raageswari Loomba figure-Vital Stats: 5' 4½" is the height of Raageswari Loomba. • Family of Raageswari Loomba: The Father name of Raageshwari Loomba is Trilok Singh Loomba, National Award winning musician, Mother name of Raageshwari Loomba is Veera Loomba (housewife) & the Brother name of Raageshwari Loomba is Rishabh who is a film maker. • Professional Life Raageswari Loomba Singing & Film Career: Raageswari Loomba started her professional work as a model by doing several advertise when she was only 12-13 & sooner director Shekhar Kapoor did a photo-shoot of Raageswari Loomba, after which at the age of 16 Raageswari Loomba made her Hindi film debut in ‘Zid’. Though, Actress Raageswari Loomba came to limelight after the film ‘Aankhen’ of David Dhawan with Chunky Pandey, Govinda. Later on, when Raageswari Loomba concentrated on her musical video albums, she still did a few Hindi films in a short role; few more films of Raageswari Loomba are ‘Main Khiladi Tu Anari’ with Akshay Kumar, Raveena Tandon & Saif Ali Khan, ‘Tum Jiyo Hazao Saal’, ‘Mumbai Se Aaya Mera Dost’ etc. Raageswari Loomba widely known for her music albums ‘Duniya’, ‘Pyar Ka Rang’, ‘Y2K’, ‘Sagari Rayn’ and we all just love Raageswari Loomba’s song ‘yeh duniya bari nasili’ from ‘Duniya’ music album. As a Singer, Raageswari Loomba performed along with Asha Bhonsle, Ghulam Ali, Lucky Ali & others in few live musical concerts worldwide. Simultaneously with acting & singing, Raageswari Loomba did justice to modelling career of Raageswari Loomba by appearing in so many advertisements like Cadbury's Perk Chocolates, Voltas Refrigerators, TVS Scooty, Dabur Hair Shampoo, Tata Sky, Oman Air, Freyas fairness cream. Singer-Model-Actress Raageswari Loomba has been the Brand Ambassador for Switzerland Tourism. Raageswari Loomba had worked for MTV as VJ & later did so many Television Show Anchoring like BPL Oye in V-Channel, Ek Do Teen on MTV, Baar Baar Dekho on MTV, Kuch Kehti Hain Yeh Dhun on Sony TV etc. In the year 2011 Raageswari Loomba participated in the biggest reality show of India on Colors TV Channel named ‘Bigg Boss Season 5’ as contestant. Raga Queen Raageshwari Loomba performed extremely well in Bigg Boss Season-5 performing exceptionally well in Cycling Task, Loo Attendant Task etc. Fans of Raageswari Loomba who want to contact Raageswari Loomba via phone or want to send a message to Raageswari Loomba; can now join Raageswari Loomba on Facebook & may contact her through facebook (http://www.facebook.com/pages/Raageshwari-Loomba/18785658431). Search Tags: Big Boss 5 contestant Raageswari Loomba Birthday Address Mobile Phone Contact Number Actress Big Boss 5 contestant Raageswari Loomba Family Father Mother Wife friend Children Son Daughter Actress Candidate Actress Big Boss 5 contestant Raageswari Loomba Qualification Educations School College Name Big Boss 5 contestant Raageswari Loomba filmography professional Film Acting Career Awards Achievements Actress Big Boss 5 contestant Raageswari Loomba Early Personal Secret Professional Educational Life Big Boss 5 contestant Raageswari Loomba latest news Details. Actress Shradha Sharma is not only an famous actress of television serials; but also a good dancer & model. Extremely maintained figure of Shradha Mishra fetch so many modelling assignments & gave her the chance in TV Serials. Calm, quite yet intelligent Shradha Sharma participated in Bigg Boss Season-5 Reality Show on Colors TV Channel as well and Shradha Sharma added the extra glamorous factor to Bigg Boss-5 Show by becoming a contestant of Bigg Boss-5. Height of Actress Shradha Sharma: 5’5". Vital Stats of Actress Shradha Sharma: 36-26-36. Actress Shradha Sharma Skin Colour: Fair. • Actress Shradha Sharma Likings & Hobbies are Dancing, Travelling, Shopping, and Listening to Music. Actress Shradha Sharma likes the colour White & Sky Blue. • Shradha Sharma Professional Life Works TV & Film Acting Career: Model Shradha Sharma has done so many Modelling assignments (like Dettol, Lizol, Mortein etc) before coming into acting profession. Model Shradha Sharma started her acting career on television with the TV Serial ‘Suno Har Dil Kuch Kehta Hai’ on Sahara One TV Channel and later Shradha Sharma played the lead role in Hindi TV Serial ‘Saarthi’ on Star Plus TV Channel. Afterwards, Actress Shradha Sharma made her debut in Kannada movie ‘Jeeva’ and engaged in various dance shows. Actress Shradha Sharma made music video titled ‘Chickni Chick’ & acted in another film ‘Tumhara Pyaar Meri Zindagi’ later. Big Boss 5 contestant Shradha Sharma profile biodata biography details Big Boss 5 contestant Shradha Sharma birthday address mobile phone contact number Big Boss 5 contestant Shradha Sharma family father mother wife husband son daughter children names Big Boss 5 contestant Shradha Sharma education qualification Big Boss 5 contestant Shradha Sharma works career occupation Big Boss 5 contestant Shradha Sharma personal professional educational life background Big Boss 5 contestant Shradha Sharma latest news updates information. Indian Model turned Actor Amar Upadhyay (known as Mihir Virani) is a well-established name in the Television Industry of India. The role of Mihir Virani in Kyunki Saas Bhi Kabhi Bahu Thi TV Serial on Star Plus Channel gave him the breakthrough. Actor Amar Upadhyay has participated in Bigg Boss Season-5 Reality Show as a wild card entry by Bigg Boss replacing pregnant lady Sonika Kalikaraman. 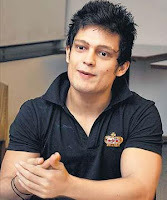 Actor Amar Upadhyay got into the Bigg Boss House on the 8th day and so knows the real character of other contestants of Bigg Boss-5 because he had watched them from outside as a viewer. • Age of Actor Amar Upadhyay: 35 years as of 2011. 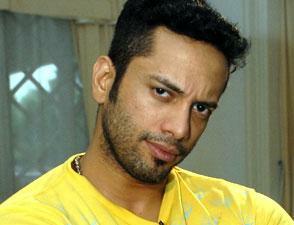 • Birthday of Actor Amar Upadhyay - 1st August 1976. • Star Sign of Actor Amar Upadhyay: Leo. • Qualification / Educational Life of Actor Amar Upadhyay – Amar Upadhyay completed his schooling in Malad, Mumbai and then completed his Chemical Engineering Studies, but Amar Upadhyay became an actor when he got the breakthrough in Kyunki Saans Bhi Kabhi Bahu Thi TV Serial where he played the lead role of Mihir Virani. • Marital Status of Actor Amar Upadhyay – Married. • Wife Name of Actor Amar Upadhyay - Hetal Upadhyay, Computer Engineer by profession, is the wife of Amar Upadhyay. Amar Upadhyay & Hetal Upadhyay has one son & one daughter in their family. • Occupation / Professional of Actor Amar Upadhyay: Actor Amar Upadhyay started his professional career in 1994 when he contested at Gladrags Manhunt Modeling Contest. Some of the amazing modeling photographs of Amar Upadhyay published in Stardust Magazine for which he got the chance to act in a TV Serial ‘Dekh Bhai Dekh’. Read more details on professional life & career of Actor Amar Upadhyay. Search Tags: Big Boss 5 contestant Amar Upadhyay profile biodata biography details Big Boss 5 contestant Amar Upadhyay birthday address mobile phone contact number Big Boss 5 contestant Amar Upadhyay family father mother wife husband son daughter children names Big Boss 5 contestant Amar Upadhyay education qualification Big Boss 5 contestant Amar Upadhyay works career occupation Big Boss 5 contestant Amar Upadhyay personal professional educational life background Big Boss 5 contestant Amar Upadhyay latest news updates information.